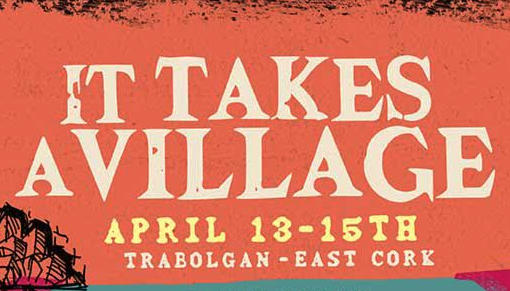 A new Irish festival is set to happen at Trabolgan Holiday Village in Cork from 13 to 15 April 2018. 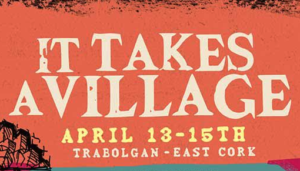 It Takes A Village is a unique event in that they offer 150 self-catering houses and apartments, plus 35 fully-serviced campervan sites, contained in Trabolgan Holiday Village. There are no camping options, your booking includes accommodation and unlimited access to the huge variety of entertainment. 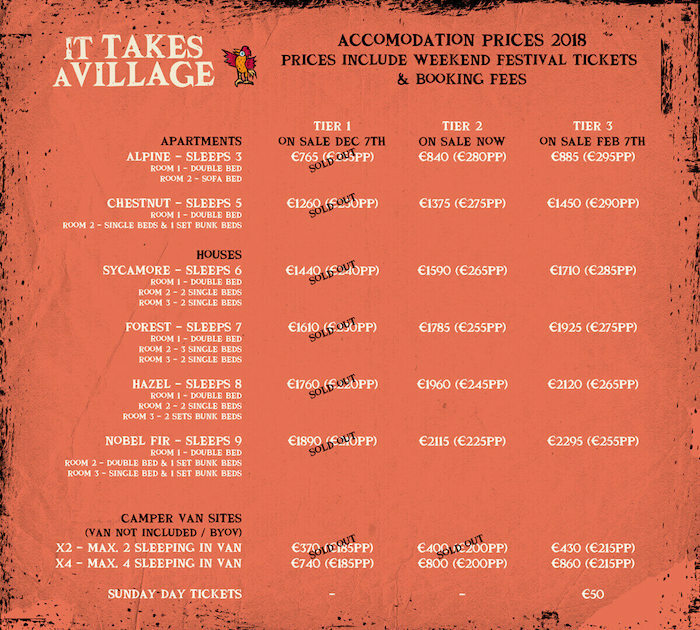 It’s a residents only affair for the festival weekend, with a limited amount of day tickets on Sunday.